Kentucky State University was originally opened in October 1887 as a teacher’s college called the State Normal School for Colored Persons with an inaugural class of 55. Given land-grant status under the Morrill Act in 1890, the school expanded into agricultural and mechanical arts quickly. After 1952, the public, historically Black institution was desegregated to grow towards its current enrollment of 2,159 diverse Thorobreds. KSU’s campus occupies 915 urban acres in Frankfort near the Kentucky State Capitol and Salato Wildlife Center. Belonging to SIAC, Kentucky State manages a $15.6 million endowment to run four colleges on-site and online. Kentucky State University has produced several notable alumni like Ezzrett Anderson, Yingluck Shinawatra, Moneta Sleet Jr., and White M. Young Jr. The U.S. News ranked Kentucky State as the South’s 16th best regional college and third top public university with the 29th best HBCU legacy nationwide. On Niche, KSU stands as America’s 198th best liberal arts college with the 355th best professors and 348th best Greek life. The Princeton Review honored KSU within the 139 “Best Southeastern Schools” for 2017. Kentucky State University landed as the 10th most affordable school in-state according to BestValueSchools.com. In Washington Monthly, KSU was the 197th best national university based on social mobility and community service. Featured by the Center for Online Education, Kentucky State was also positioned in the United States’ top 10 percent on College Factual. Reaffirmed under President Dr. M. Christopher Brown II in 2009, Kentucky State University has regional accreditation from the Southern Association of Colleges and Schools Commission on Colleges (SACSCOC) at Level V. Without public sanctions, this institutional approval certifies all programs, including the Special Education MA, for Title IV eligibility with the U.S. Department of Education. The School of Education maintains programmatic accreditation from the Council on Accreditation for Educator Preparation (CAEP). Teaching degrees also comply with the Kentucky Education Professional Standards Board (EPSB). 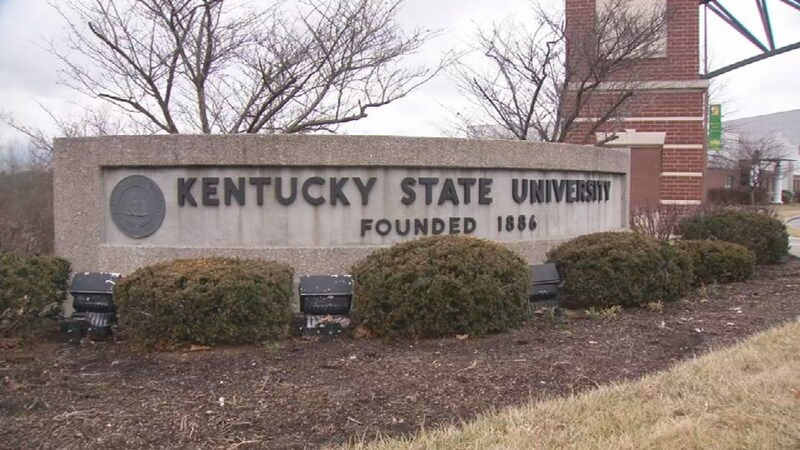 Kentucky State University’s “selective” admission rate of 38 percent only grows more competitive for post-bachelor’s applicants. The School of Education will consider MA entrants who hold a regionally accredited baccalaureate from a U.S. institution or foreign equivalent. International students have the extra step of proving English fluency with a paper-based TOEFL score above 525. Prospective online learners need a cumulative undergrad GPA of 2.7 or better with a maximum of six graduate credits graded at least “B.” Special education majors must pass the Core Academic Skills Test for Educators via Praxis. On average, admitted online master’s students also present an average GRE score of 150 (verbal) and 143 (quantitative). According to the NCES, full-time post-grads from Kentucky pay $7,524 for yearly tuition on average. The mean cost for non-residents to complete graduate programs full-time at KSU is $11,322 each year. Hopeful teachers pursuing the Special Education MA will follow the Distance Education Office’s particular tuition structure though. Graduate online courses cost $476 per credit. Depending on their curriculum’s length, master’s students regardless of residency will pay $17,136 to $21,420 total online. Approximately 80 percent of beginning, full-time KSU Thorobreds share $10.73 million in financial assistance annually for an average amount of $9,326 each. Online students can still receive institutional funds like the Perkins Educational Scholarship, Abbott and Fenner Scholarship, or Kentucky Academic Achievement Scholarship. Master’s candidates who will teach in high-need locations could receive the Federal TEACH Grant for up to $4,000. Online post-grads could file the FAFSA for Direct Unsubsidized or Graduate PLUS loans and borrow private loans from banks like Wells Fargo. Some may even benefit from the Public Service Loan Forgiveness Program. Bluegrass State residents access resources like the Kentucky Go Higher Grant and Teacher Scholarship of $2,500. Former military could also use Post-9/11 G.I. Bill benefits for online tuition coverage. Accredited by the CAEP through 2020, the Special Education MA at Kentucky State is an online certification program chaired by Dr. Jo Anne Rainey from Hathaway Hall to support licensed teachers or career changers in reaching master’s-level goals in PreK-12 classrooms. With an emphasis on Learning and Behavior Disorders (LBD), the online Master of Arts strengthens post-graduates’ skills for adapting curricular standards to suit the needs of exceptional children. Teachers are placed on the pathway to the Commonwealth’s Option 6 Temporary Provisional (TP-TC) credentialing to serve disabled youth with IEPs. Ranging from 36 to 45 credits, the curriculum is personalized for post-grads in Kentucky, Ohio, Georgia, Indiana, Illinois, and Michigan currently. Online courses for Rank II will delve into instructional assessment, LD research, special education law, reading practices, behavior analysis, and lifespan development. Most MA majors take two accelerated, eight-week online courses each term for completion in three years. Study is primarily online, but teachers also complete 200 practicum hours before a student-teaching internship in their local districts. Instead of a thesis, students create a capstone portfolio using LiveText to showcase mastery. Other online programs delivered by Kentucky State University are the Criminal Justice BA, Psychology BA, Public Administration BA, Nursing Practice BSN-DNP, Network Associate Certificate, and Aquaculture/Aquatic Sciences Certificate.